NEWPORT, Ore. – Humpback whales can migrate thousands of miles to reach feeding grounds each year, but a new study concludes that their fidelity to certain local habitats – as passed on through the generations – and the protection of these habitats are key to understanding the ultimate recovery of this endangered species. The study documents the local recruitment of whales in Glacier Bay and Icy Strait in Alaska over a 30-year period. The researchers found that contemporary whales that utilize these rich feeding grounds overwhelmingly are descendants of whales that previously used the area. In other words, the population recovery of humpback whales in the region depends on cultural knowledge of migratory routes passed on from mothers to their calves; it is not a product of whales from outside the area suddenly "discovering" a rich feeding ground. Results of the study are being published this week in the journal Endangered Species Research. "Humpback whales are recovering from exploitation on an ocean-wide basis, but ultimately their individual success is on a much more local scale," said Scott Baker, associate director of the Marine Mammal Institute at Oregon State University and a co-author on the study. "Humpback whales travel globally, but thrive locally." 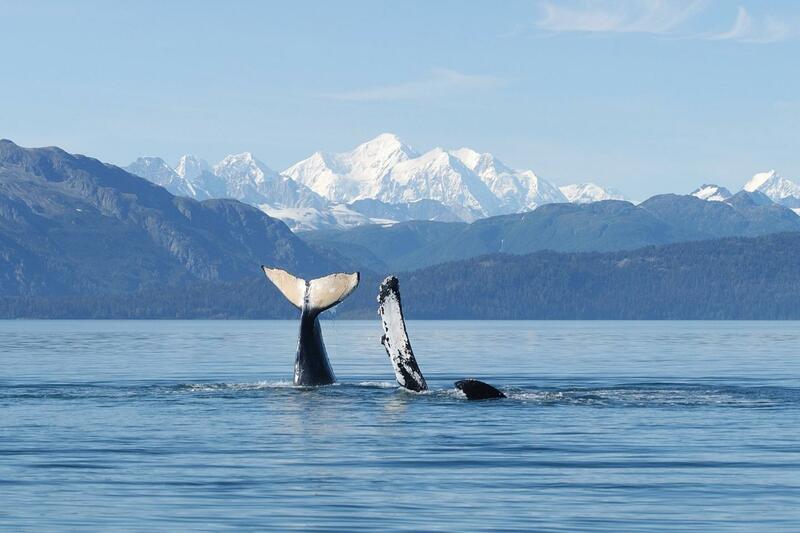 The study compares records of individual whales returning to Glacier Bay. The first, referred to as the "founder's population," included whales documented by a local high school teacher, Charles Jurasz, beginning in the 1970s. Jurasz was one of the first researchers to realize that individual whales could be identified by photographs of natural markings – a technique now widely used to study living whales. Over the years, other researchers – including the authors of this study – continued to record the return of these whales by photo identification and they later collected small genetic samples to confirm the relatedness between individual whales. Using a large database maintained by Glacier Bay National Park and the University of Alaska Southeast, the records of the founding population were then compared to records of the "contemporary population" returning to Glacier Bay, more than 30 years after Jurasz's initial studies. The results were striking. Of the 25 "founding females" that were also sampled for genetic analysis, all but one was represented in the contemporary group – either as still living, or by a direct descendant, or in many cases, both. Several of the founding females were even grandmothers of individuals in the contemporary population. "We looked at three possibilities for population increase over a 33-year period including local recruitment from Glacier Bay/Icy Strait, recruitment from elsewhere in southeastern Alaska, and immigration from outside the region," said Sophie P. Pierszalowski, a master's student in OSU's Department of Fisheries and Wildlife and lead author on the study. "It is clear that the contemporary generation of whales is based on local recruitment, highlighting the importance of protecting local habitat for recovering species, especially those with culturally inherited migratory destinations." Humpback whales in the North Pacific were once estimated to number more than 15,000 individuals based on catch data before commercial whaling took a toll, reducing the population to less than a thousand by 1966. Humpback whales were first protected by the International Whaling Commission in 1965, then listed under the U.S. Endangered Species Act in 1973. Since the protection, the oceanic population has increased to an estimated 21,000 individuals based on photo-identification studies and other evidence. The recovery has been slow, in part because humpback whales can live to be 70 years of age and their recovery is driven primarily by local fidelity and recruitment. "Limiting vessel traffic in important habitats is one way to help protect humpback whales," Pierszalowski said, "along with maintaining legal distances by vessels, reducing the risk of entanglement with fishing gear, and maintaining stranding networks that have the capacity to quickly disentangle whales." OSU's Marine Mammal Institute is based at the university's Hatfield Marine Science Center in Newport, Ore.